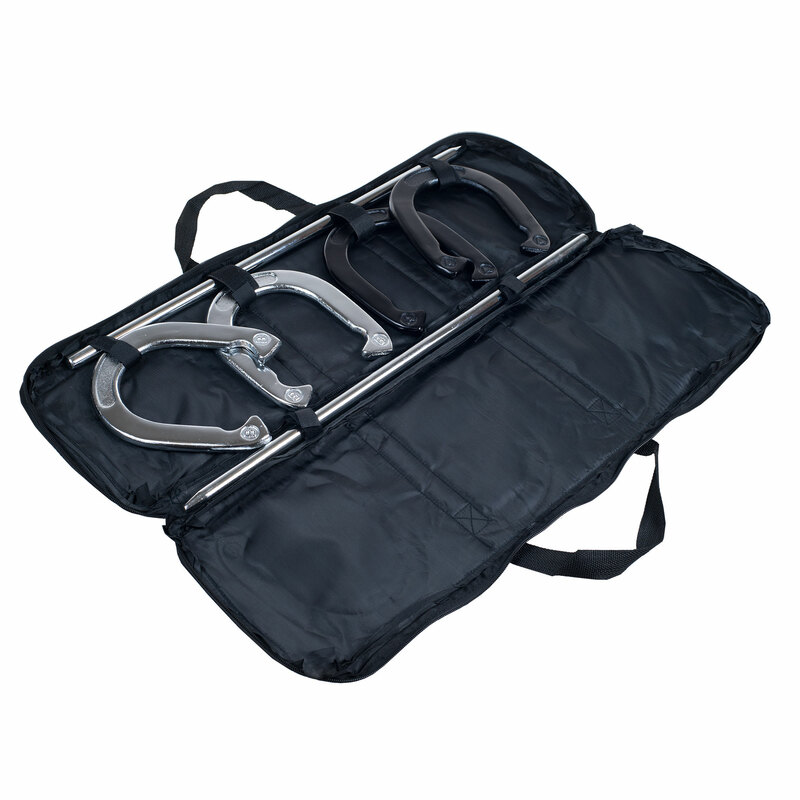 Spend summertime outdoors with an easy game for kids, teens, and adults with this Horseshoe Set with Carrying Case by Trademark Games! 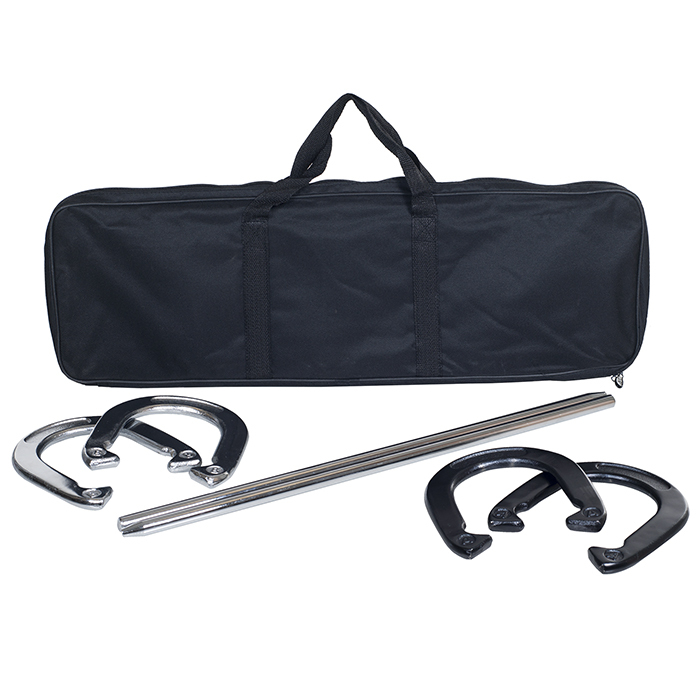 This classic game kit features high quality metal horse shoes and poles as well as a durable carrying bag to bring the game with you on the go! It is perfect to use for friends and family at parties, events, bbq’s, picnics, reunions, and more! This set is everything you need to make the most of this summer with friends and family. IMPORTANT: Avoid buying counterfeit products and transacting with unauthorized sellers. Look for our logo on the packaging for every one of our products. Trademark Games is a registered trademark protected by U.S. Trademark law and will be vigorously defended. 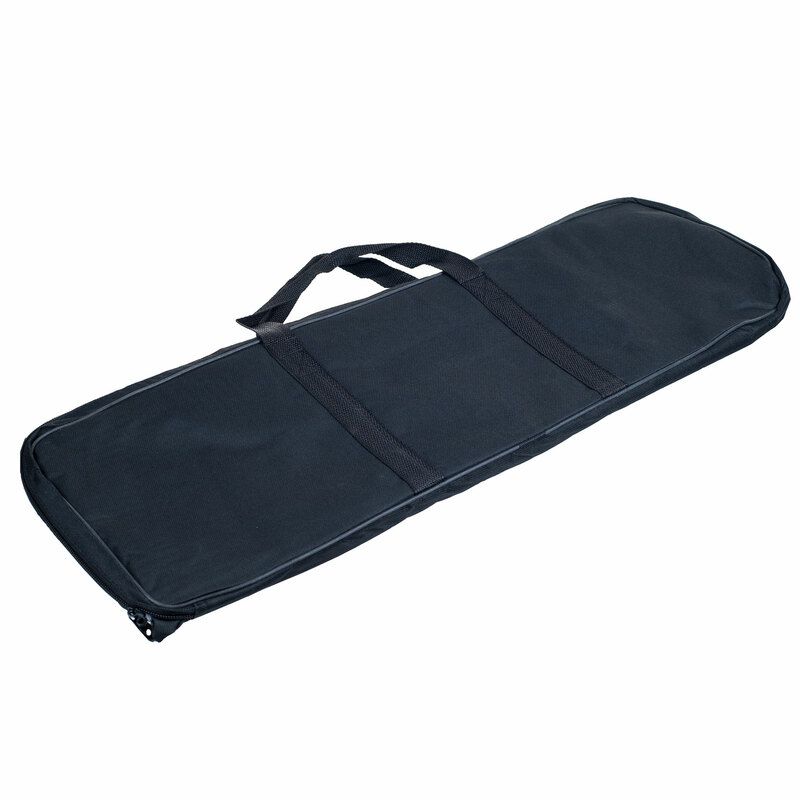 INCLUDED CARRYING CASE- Convenient carrying case comes included so you can take this summer time classic with you when you travel or are on the go! Perfect for cookouts, family gatherings, and even days at the beach. EASY SET UP- Stakes come to a narrow, tapered point to make installation as easy as possible. Whenever you’re done, just pull the poles out of the ground, toss everything in the carrying sack, and you’re ready to go! FUN FOR EVERYONE- This go-to complete classic summer game can be enjoyed by kids, teens, and adults. 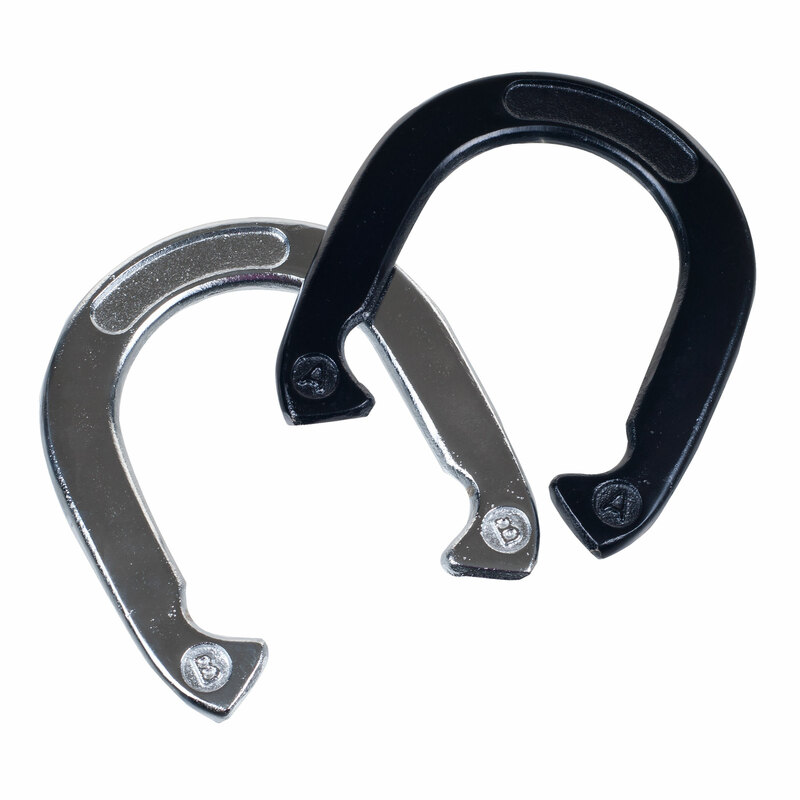 Horseshoes is best played on any soft ground outdoor surfaces such as grass, sand, or dirt. SET INCLUDES- The set comes with everything you need for some fun in the sun. 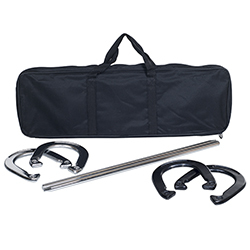 It comes with 4 horseshoes (2 silver 2 black), 2 silver tapered poles, and 1 black Velcro carrying case.